Within 250 miles of Lewisville, TX. Two Day Camp – Sign up for one or both sessions! 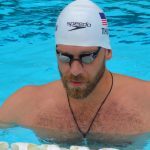 At these high performance swim clinics, your swimmer has so much that they can learn from Olympic gold medalist Jack Conger AND Nick Thoman! He will be in the water teaching butterfly, open turns, and underwater dolphin kicking on Saturday and then breaststroke and pullouts on Sunday. Jack’s Age Group Coach, Sue Chen, will also be on deck during the session providing feedback and insight to Jack’s development. This will be a very special opportunity for Jack and Coach Chen to work together again! Butterfly can be a very difficult stroke to master due to the importance and of timing and rhythm! Learn from Olympic gold medalist Jack Conger and his age group coach, Sue Chen, technique for a more efficient butterfly stroke, faster open turns, and more powerful underwater dolphin kicking! Butterfly: Swimming a relaxed and fast butterfly is all in the technique and timing! Jack Conger will go over the proper body position, kick, arm pull, and breath as well as the timing of how it all fits together! 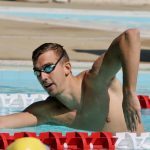 Your swimmer will look and feel more smooth and fast after improving on these key areas of butterfly technique. Underwater Dolphin Kicking: The fastest swimmers in the world take advantage of dolphin kicking off of every wall! This skill is essential to your swimmer taking their racing to the next level. Our elite clinician will teach participants to hold a tight streamline from fingertips to toe tips, then they will work on getting power by dolphin kicking from their core. Your swimmer will learn how many dolphin kicks to commit to so that they can improve now and in the future! In order to swim a fast breaststroke, it requires very specific technique and timing. Jack Conger will be in the water at this clinic teaching drills and skills that will help your swimmer understand each of the components of proper breaststroke and pullout technique so that they can drop time. Breaststroke: The most important components to a fast breaststroke are a powerful kick, a strong pull, shallow body position, and perfect timing! Each of these components has very specific technique to make it all work together. Once your swimmer learns the right way to swim breaststroke, you won't believe how fast they go! Breaststroke Pullouts: The best breaststrokers are faster under the water than on the surface! Learn the components and sequence of movements that make up a fast underwater breaststroke pullout from Jack Conger. With the proper body position and timing, a swimmer's pullout will take them almost to the other side of the pool faster than you could imagine! Swimmers and parents are invited to ask Jack Conger and his age group coach, Coach Sue Chen, questions during a Q&A session. Gain insight into his training regimen, diet and nutrition, and recovery tactics. Observe Jack Conger swim at full speed and demonstrate a progression of perfectly executed drills to achieve powerful, efficient and fast swimming. Take a photo while wearing Jack Conger's medals, get autographs, and a gift from TYR Sport!